We're back on Part II for DIY Pom poms.. ready to begin the next session? 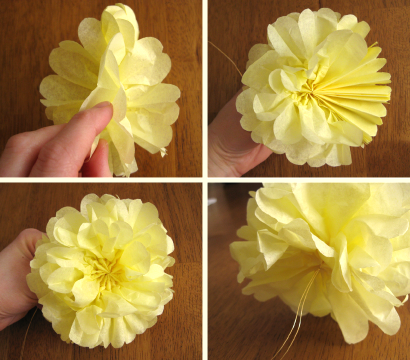 These simple tissue paper pom-pom flowers are quite high addictive!. Thanks to lillyella, this is one easy beezy project to get start with! Stack the four sheets of tissue on top of each other. 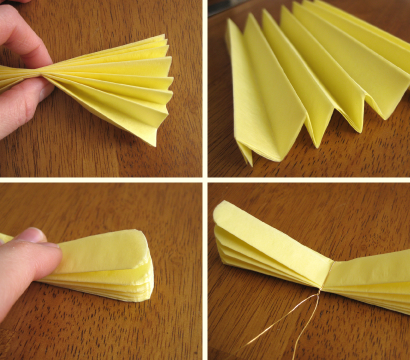 Make 3/8" accordion folds, creasing after each fold. We find it easiest to make one fold, flip it over, make the other, and repeat, so you are always folding up away from you and it's easy to see. 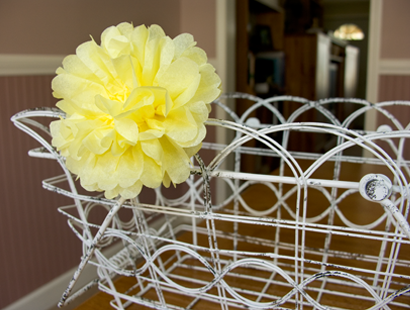 Fold the 18" piece of wire in half and slip over the center of the folded tissue. Twist the bottom closed. 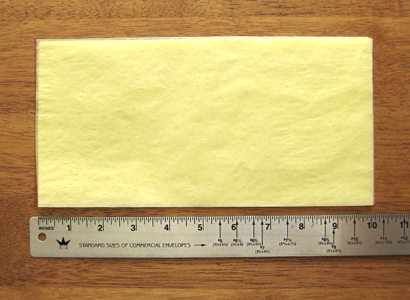 Using sharp scissors, trim the ends of the paper into rounded or pointy shapes. We chose rounded for this one. 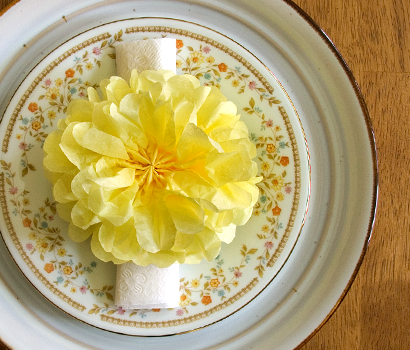 Amazingly you can use these little flowers just about anywhere! Also we love using them as napkin rings for a summer wedding. You can also use them to decorate a basket or the back of a chair, make a bouquet for a vase or they are beautiful as a bow on a gift. Try layering different colors of tissue for a beautiful effect or embellishing the centers with buttons or beads. 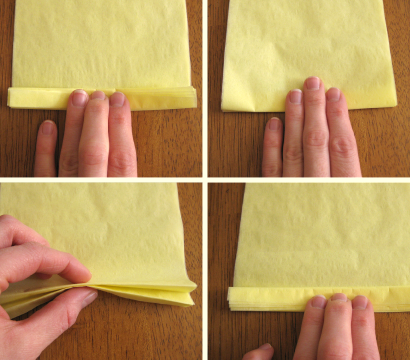 You can also easily make other sizes by starting with different sized tissue.